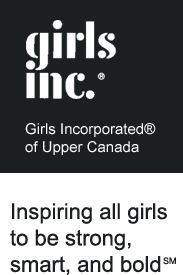 Girls Incorporated of Upper Canada needs your donations to provide skills development programs to help every girl achieve their full potential. Girls learn about money and the economy, including how to manage, invest, and save money and how to help others through philanthropy. As girls explore how the economy affects everyone locally and globally, they develop skills critical to being financially savvy and to becoming economically independent adults. Girls learn these skills through four age-appropriate components: She’s on the Money! ®; Dollars, Sense, and MeSM; Equal Earners; Savvy SpenderSM; and Futures and OptionsSM. Girls develop skills to resist pressure to use harmful substances, such as drugs, alcohol, tobacco, and household chemicals. After learning healthy ways to manage stress and to deflect peer, media, and other pressures that contribute to substance use, girls become peer educators (PEERsuaders) for younger girls. Girls build leadership skills and create lasting social change through community action projects. With support from women in their community, girls celebrate the heritage of girls and women as leaders and social change agents and realize their own power as community resources and trustees of the common good. Components include Discovery® and In Our Own Hands®. Girls increase their awareness of the scope and power of the media and the effects of media messages on girls and women. They learn to analyze what they see and hear in the media and advocate for change in entertainment, news, and advertising. As girls create media that are more realistic and reflective of their lives, they learn about careers and the positive use of media. Components of the program include: Media and MeSM; Media SmartsSM; Girls Take Another LookSM; Girls Get the MessageSM; and Girls Make the MessageSM. Girls develop enthusiasm for and skills in science, technology, engineering, and mathematics (STEM). Through hands-on activities, girls explore, ask questions, persist, and solve problems. By interacting with women and men pursuing STEM careers, girls come to view these careers as exciting and realistic options for themselves. Components of the program include: Eureka! ®; Girls Dig It; Career Action; and Thinking SMART. Girls learn skills and strategies to lead safer lives in their homes, in relationships, in their communities, and online. Girls learn specific self-defense techniques and how to seek out and talk to caring adults about personal violence. Older girls also take on a community action project to advocate for a safer world for all women and girls. Components of the program include: Action for SafetySM and Living Safe and StrongSM. Girls build a foundation for enjoying physical activity, sports, and adventure throughout their lives. As girls develop movement and athletic skills, cooperative and competitive spirit, and healthy habits, they experience the benefits and excitement of taking positive risks that bolster their self-confidence and personal growth. The three age-appropriate components are SteppingstonesSM; BridgesSM; and Girls enCourage®. Purchase a Girls Inc. membership today for only $25! Girl Memberships include a Girls Inc. t-shirt, discounted program fees, and our quarterly newsletter. Adult supporter memberships are also available for $25! Contact Michelle for more info. Get involved by helping to prepare program materials; participating as a co-facilitator; or attending as a guest speaker. To learn more, visit our Volunteers page.